Accredited lectures at new Biomechanics InstituteTM, three events, and seven speakers. September 10, 2014 — Foot Levelers is hosting three continuing education unit (CEU) seminars at its headquarters in Roanoke, Virginia, during the 2014 fall season. Designed to help the doctor of chiropractic keep up-to-date on technique, insurance, and other important professional information, the seminars are being held in the new Biomechanics InstituteTM, which is being built in Foot Levelers’ headquarters. Dates for the three seminars are Oct. 3-5, Oct. 31-Nov. 2, and Dec. 5-7. Through an agreement with Parker University, all three sessions have 14 CEUs available. The Oct. 3-5 Roanoke seminar includes a Diagnosis, ICD-9, & ICD-10 lecture by Ken Murkowski, DC; an Extremity Adjusting lecture by Mark Charrette, DC; and Brian Jensen, DC, talking on Stress, Structure, and Neurology. From Oct. 31 through Nov. 2, three speakers are lecturing on the following topics: ICD-10 Essentials (Kathy Mills Chang), Stress, Structure, and Neurology (Brian Jensen, DC), and Keys to Success for the 21st Century Chiropractic Practice (Kurt Juergens, DC). On Dec. 5-7, the third Roanoke seminar features Kathy Mills Chang discussing ICD-10 Essentials and Kevin Wong, DC, conducting a hands-on lecture entitled Supporting Your Body from the Ground Up. Also featured is Jamal De Vita, DC, who is holding a session called Activator Methods Chiropractic Technique Basic Class, a partnership lecture with Activator Methods. 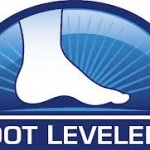 To learn more or to register for any, or all, of the events, visit FootLevelers.com/seminars.